Exhibitions, a series of publications, conferences, and events connected with the tradition of „new art for a new man” – this is how the Muzeum Sztuki in Łódź will commemorate the 100th anniversary of Polish avant-garde. On this occasion we will recall the relevance of the avant-garde art movement for the development of visual arts, literature, film or theatre; we will show how important Poland was as the centre of avant-garde and how vivid its traces are in the oeuvre of contemporary artists. Exhibitions that present the legacy of the avant-garde, inspired by the movement or engaged in dialogue with it, will constitute the heart of these celebrations. Their goal is not just to bring Polish avant-garde art closer to the domestic audience but also to re-introduce it into the lifeblood of the world’s scene of art. Such is the idea behind the monograph exhibition of the works of Katarzyna Kobro and Władysław Strzemiński – the key personalities of the Polish avant-garde of the interwar period in Poland. The exposition will be co-organised by Muzeum Sztuki in Łódź and Museo Nacional Centro de Arte Reina Sofia in Madrid as the first so significant monograph exhibition of this couple of artists considered by many to be the major representatives of the European avant-garde. The exhibition will open in March and run until September 2017 at Museo Nacional Centro de Arte Reina Sofia in Madrid. The history of avant-garde will be reminded in four presentations arranged in the exhibition space of the Muzeum Sztuki. Between February and May next year in Ogrodowa 19 visitors will see the exhibition “Natureculture. Avant-garde and Environment” designed to shed new light on artistic accomplishments of avant-garde of the first half of the 20th century from the viewpoint of one of its fundamental terms: organicity. It will be the first exhibition ever to so broadly present avant-garde artists’ interest in nature. The exposition will show works by the main artists of European avant-garde, e.g., László Moholy-Nagy, Hans Arp, Max Ernst, Franz Marc, Paul Klee or Władysław Strzemiński, including masterpieces that have never been on show in Poland. The exhibition will demonstrate how the progress in biological sciences influenced avant-garde art during the interbellum and how the latter posed still pertinent questions about the relationships between culture and nature. In June the exhibition ”Enrico Prampolini and the Theatre of Mechanical Constructions. Futurism and Staging Techniques of the Polish Avant-garde” will open also at ms2. It will be the first attempt to demonstrate relationships between Futurism and Polish avant-garde and to juxtapose scenographic experiments of Polish Constructivist groups: Blok, Praesens, and the circles of “Zwrotnica” (Switch) magazine with the works of one of the most recognisable representatives of Italian Futurists, theatre reformer and initiator of theatrical exhibitions, Enrico Prampolini. Curators will discuss at length the usually marginalised relationships between Italian Futurism and avant-garde movement of Central Europe showing them in new light and paying attention to multilayer and ambiguous history of European avant-garde. “Montages. Debora Vogel and New Urban Legend” is an exhibition, which reveals linkages between aesthetic concepts of Debora Vogel, a writer and art theoretician, with avant-garde practices of the interwar period, inter alia, with the oeuvre of artists from the Lviv Artes group, Leon Chwistek, and Władysław Strzemiński. A friend of Brunon Schulz and Witkacy, Debora Vogel wrote poems about living in modern urban space subordinated to the principles of rational organisation. The exhibition will show works that make reference to popular iconosphere of pre-war Lviv filled with advertisements of commercial world and the emerging consumerism. It will display documentary photographs of Lviv from the 1930s side by side with contemporary images of the city and propose the experience of moving across urban space demonstrating the scale of Vogel’s theoretic reflection at that time. The exposition will run from 27 October 2017 until February 2018 at ms2. The 2017 will also mark the one hundredth anniversary of De Stijl, one of the most prominent and influential European avant-garde groups. On this occasion, Muzeum Sztuki in Łódź will present the exposition “Life Organisers. De Stijl and Avant-garde Design in Poland”, whose fundamental elements include works by Gerrit Thomas Rietveld, eminent architect and furniture designer from Utrecht. The exhibition that will show selected pieces by De Stijl will also relate to practices of Polish avant-garde inspired by Dutch art, such as, projects of the “a.r.” group (including Władysław Strzemiński’s Neoplastic Room designed to present the artworks from International Collection of Modern Art). The exposition will be on show at ms1 from the end of November 2017 until February/March 2018. Still this year two exhibitions will open at the museum, both inspired by the oeuvre of Katarzyna Kobro and writings by Władysław Strzemiński. The first one, “Moved Bodies. Choreographies of Modernity” will run at ms1 from November 2016 until February 2017. It asks questions concerning corporeal and motional experience of modernity having the artworks of Katarzyna Kobro, which will be shown in the context of choreographic practices of her contemporaries, as the starting point. The exhibition will present archive materials from the oeuvre of artists, such as: Valentine de Saint-Point, Martha Graham, Rudolf Laban, Giannina Censi, Oskar Schlemmer, Mary Wigman, Noa Eshkol, Jane Dudley or Rosalia Chladek. Integral part of the exposition based on processed archive material will also include, e.g., workshops in movement where participants will be able to attend, inter alia, movement training workshops; visitors will experience the exhibition in multisensual ways in especially arranged spaces of the Museum. A similar experimental spirit will permeate the second exhibition, ”Museum of Rhythm”, which will be open from November 2016 until March 2017. The project initiated by Natasha Ginwala in 2012 as part of the Taipei Biennial, enriched with new elements will be on show at ms1. The exhibition discusses the key notion of modernity: rhythm. It will present works of visual artists, such as: Erick Beltrán, Juan Downey, Ken Jacobs, Lawrence Abu Hamdan, Channa Horwitz, Katarzyna Kobro, Hans Richter, Lis Rhodes, and Ericka Beckman, as well as documentaries and excerpts from feature films, music scores, inventions, and objects from various cultural circles used to dictate rhythm. Conferences accompanying selected exhibitions will importantly complement celebrations of the one hundredth anniversary of Polish avant-garde. Expositions will also provide the starting point for publications that will make a multiple volume series. 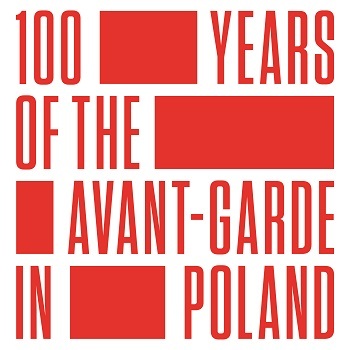 There will also be publications directly connected with the anniversary, which will present the major personalities of the Polish avant-garde and the most important phenomena in the 20th century art. Plans for 2017 also include the publication of two books: one devoted to an extremely important Polish painter, graphic artist and photographer Karol Hiller (written by Max Cegielski) and the other one about Ewa Partum (author: Paulina Rejter), one of Polish major female artists. On top of that, Muzeum Sztuki in Łódź has published the re-edition of the ”Theory of Vision” by Władysław Strzemiński, one of the major theoretical writings of Polish Modernism and an unusual testimony of theoretical consciousness of the artist who left a lasting impact on the development of fine arts. The book teaches us how to look at changes in artistic perception over time, explains relationships between the evolution of society and changes in art, and acts as a link between artistic education and the history of art. The masterpiece re-edited by the Muzeum Sztuki in Łódź after more than 60 years from its first public presentation (at a joint exhibition of Kobro and Strzemiński in Łódź), has been annotated by Prof. Iwona Luba who also wrote the Introduction; in the autumn it will be translated into English, which will surely contribute to the popularisation of avant-garde art across the world.